Central to Mars PC’s set of corporate values is our emphasis on customer service. This is reflected in our highly personalized and unique approach to each new project. Two people who specialize in the world of alternative treatments work together with combined efforts. With the combination of Chinese medicine (Acupuncture and healing herbs) and Chinese Physical Therapy (Twina), an optimal healing process can be achieved. The request was for an informative Website that will explain the method by which the process works. A simple and elegant design was chosen due to the nature of alternative medicine. Search Engine Optimization by Mars PC. Mr. Sturdy picked up in depth knowledge of the black industry (iron/steel), working on a variety of projects. A selection of Conan’s work is shown in the gallery section. 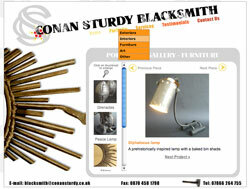 He can reproduce and match traditional ironwork as well as produce contemporary cutting edge materials. Boon Boutique, established in 2000, started off with a stall at the Portobello and spitalfields market, eventually leading to three stores and various concessions around London. 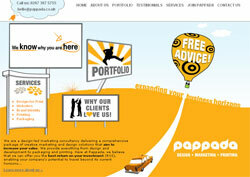 Pappada is a new breed of an integrated branding agency, based in London. They Specialize in marketing, design, printing and business solutions. Pappada required a supremely functional and practical website, allowing their often time pressed clients to access and navigate their information efficiently and easily. In addition to this, Pappada requested us to develop a wide variety of contact options, hugely increasing their accessibility to potential consumers. "The team at Mars PC provided us with a fantastic service – they kept in constant contact with our creative team to ensure that the site was up and running well within our deadline. We have already had a lot of positive feedback from our clients – thank you very much for a job well done!" GVC Limited was established to provide a genuine, long term source of income for individuals across the globe, and has been set up in association with the Variety Club children’s charity, allowing its clients to make a difference to the lives of children in need at the same time as transforming their own financial situation. Mars PC designed and developed both the front end of the website and its client login service, which enables GVC customers to access all the tools and data required to increase their business prospects, and guarantee financial success. 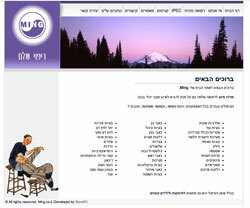 Shai Gilat (CEO): "MarsPC did a great job with our company Website. They gave a whole new meaning to the word 'client service'. With their professional workers and experts we managed to generate a wonderful product." The Moxi foundation has as its purpose to research, develop and teach individual potential and leadership skills from an ethical and holistic perspective. Teaching energy medicine to professionals and the public, anywhere. Teaching the concepts of Xi energy in its broadest application. Teaching martial Moxite to professionals, practitioners and special interest groups. Establishing new energy medicine clinics internationally. To research scientifically and document Xi energy with its various applications. Wiese Enterprises, Inc. is your complete home renovation specialist that offers architectural design, structural engineering, complete home remodels, kitchens, baths, painting flooring, fencing, decking, irrigation, landscaping, and much more. 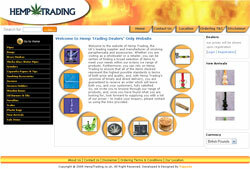 Hemp Trading are the UK’s leading supplier and manufacturer of smoking paraphernalia and accessories. Whether you are visiting as a wholesaler or a retailer, you can be certain of finding a broad selection of items to meet your needs within their extensive product range. A leading Israeli consultancy group requested to create the ultimate image site. 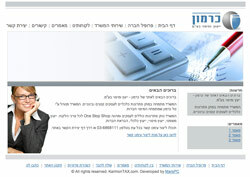 Tal Karmon (CEO): "MarsPC took our dream to life by creating this amazing website." We worked with this leading Israeli real estate group to create a unique on line database system which allowed their clients to search for a specific asset or property according to their own criteria. However, we were also able to develop a back office administrative system, allowing Yodan to manage their own data easily and efficiently, ensuring that their website is constantly up to date and relevant to the market. Arik Hasidim (CEO): "MarsPC did very professional work with my site. They taught me and explained with extreme patience on how to use the different features of my website system." 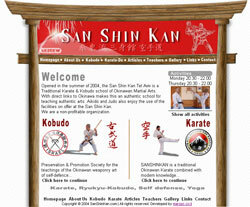 San Shin Kan is a school of traditional Okinawan martial arts. Mars PC’s project was to create a stylish and unique image website for San Shin Kan, whose design would seamlessly combine the ancient tradition behind the school’s teaching with the communicative potential of modern Internet technology, spreading its unique philosophy to a global Internet audience. Lothar Gruza (Founder): "The website is extra ordinarily beautiful and efficient. Mars PC did a wonderful job and opened our window wide to the Internet world." 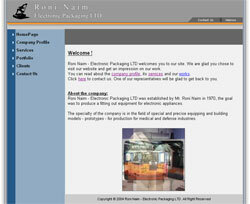 Roni Naim - Electronic Packaging LTD was established by Mr. Roni Naim in 1970. The goal was to produce a fitting out equipment for electronic appliances. We designed and developed an image/presentation website to show the various products and services provided by the company. Roni Naim (CEO): "MarsPC took my business one step higher. With this wonderful website I can reach a whole new world of potential clients. Mars PC sat with me from the start to finish, helping me manage all the right data and images." 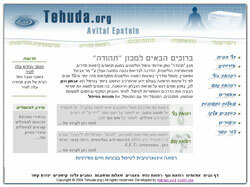 Tehuda.org is a medical institute broaching new frontiers in alternative health treatment. Founded on a holistic approach to human wellbeing, Tehuda bases its diagnosis and treatment on a comprehensive examination of the patient’s day to day life – their eating, sleeping, exercise and work patterns – before creating a specific treatment plan designed to promote total long term well being. Mars PC designed and developed a stylish and functional website that increased Tehuda’s accessibility to its patients, allowing them to access relevant data and articles and to make medical enquiries on line. Avital Epstain (Therapist): "MarsPC helped me arrange all the relevant data and with extraordinary expertise generated a beautiful professional design to my clinic website." 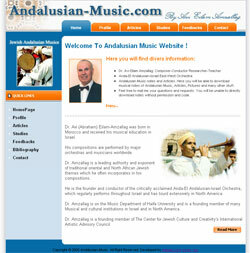 The brain child of famous composer Dr. Avi Eilam Amzallag, our project in Andalusian Music.com was to create a website that would not only allow more people to contact him with composition requests, but would incorporate a login service allowing students and musicians to access articles and download compositions online. We were able to create a website that captured Dr Amzallag’s deep enthusiasm for the music into a user friendly and efficient format. 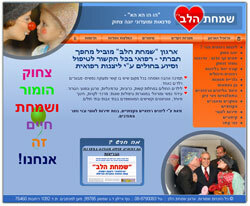 Dr. Avi Eilam-Amzallag (Founder): "MarsPC created a wonderful site for our institute. 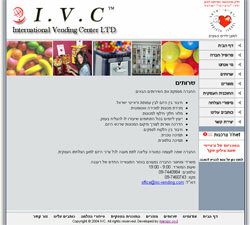 The website provides a very good name by its professionalism"
I.V.C deals with bulk vending machines. Their unique concept helps the children of "Variety Israel". 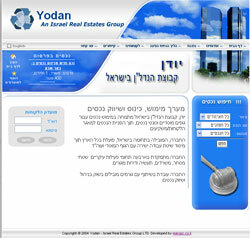 Yaron Tishby (CEO): "Our website was done in a professional and accurate manner. It brings our ideas and concepts into life and helps keep in touch with our customers. Mars PC are always helping and supporting us. I am very happy with their service"
Simchat Halev is an organization whose ground breaking socio medical work has transformed perceptions of medical treatment for children. Mars PC provided them with an image website that reflected their organization’s vital medical importance, as well as their optimistic and unique company identity, allowing them to communicate their message to a far greater audience. Zvi Meir (CEO): "MarsPC, Thanks a lot. With your professional help we managed to open a whole new window of opportunity to the world." Dan Knassim Ltd are an international company specializing in the management of large scale corporate events. 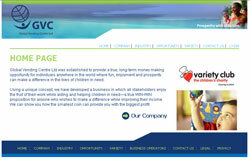 They required a website whose high standard of design and functionality would reflect their impressive corporate image. 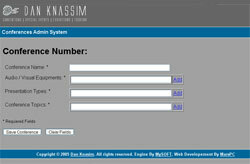 In addition to this, Dan Knassim required Mars PC to develop an abstract feed system that would integrate with the company ERP system. We were able to provide them with a functional and effective system that expanded their multi-national client base even further, greatly enhancing their international communications.